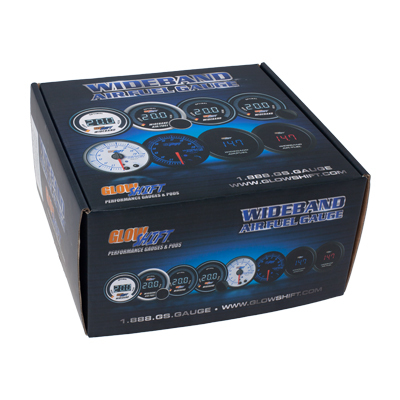 GlowShift’s Black 7 Color Series Wideband Air/Fuel Ratio Gauge is essential when tuning any performance vehicle. Installing this gauge allows you to closely monitor and tune your vehicles air to fuel ratio giving you multiple benefits that include reduced emissions, higher fuel economy, and maximized power and engine performance by allowing you to carefully map out your vehicles air to fuel ratios throughout the range of RPM and manifold pressure which results in maximized power output. 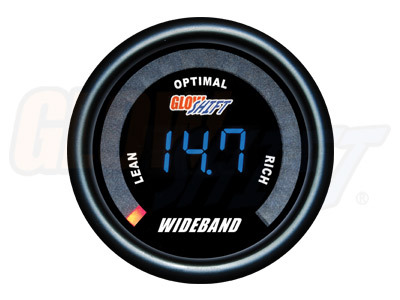 GlowShift’s Wideband Air to Fuel Ratio Gauge features an easy to read blue digital numeric readout that will display your vehicle’s air/fuel ratio reads from 10.0 to 20.0 AFR down to one decimal place, as well as having a three color LED ring that quickly indicates rich, lean, and optimal values. These incredibly accurate readings are attained by utilizing the included Bosch LSU 4.9 wideband oxygen sensor. 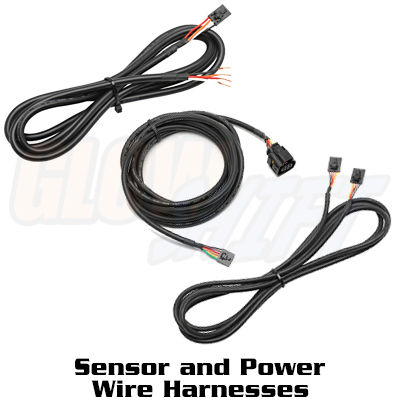 The 4.9 wideband oxygen sensor is installed to your vehicles exhaust with the included weld in bung, and the included 13 foot sensor wire easily connects to the back of the gauge with modular connectors. 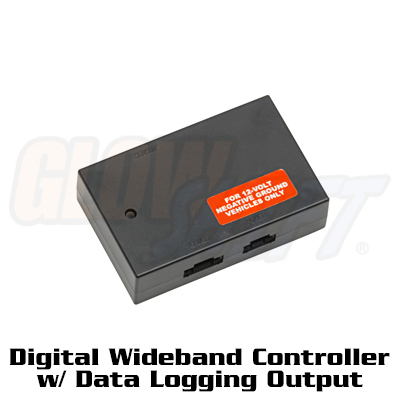 This wideband air/fuel gauge also comes standard with a 0 to 5 volt digital output that allows you to connect it to virtually any data logging or engine management system. This gauge is intended to match GlowShift’s Black 7 Color Gauge Series; however they do not change colors due to the dual read out and digital display of the gauge. Free lifetime technical support, one year limited warranty, and full installation instructions come with every Black 7 Series Digital Wideband Air/Fuel Ratio Gauge. 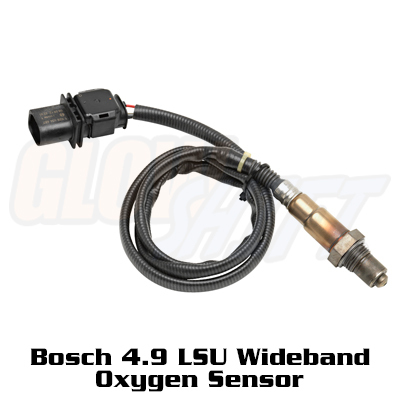 NOTE: The included Bosch 4.9 LSU Wideband o2 Sensor includes Bosch’s 30 day manufacturer’s warranty. GlowShift does not warranty this o2 sensor after that 30 day time frame. GlowShift’s Tinted 7 Color Series Oil Pressure Gauge allows you to monitor your vehicles oil pressure, in real time, ensuring your bearings, crankshaft, and other vital engine parts stay properly lubricated. 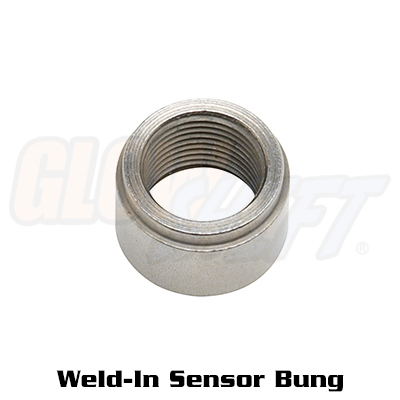 Included with this oil pressure gauge is a 1/8th NPT electronic oil pressure sensor that reads from 0-100PSI, and can be easily installed by using GlowShift’s Oil Filter Sandwich Adapter or t-fitting. Featuring an illuminated red needle that sweeps 270 degrees and is powered by stepper motor technology you can rest assured that your gauge readings will be extremely smooth and accurate. This gauge also features a low profile magnified tinted lens and 7 color through dial LED lighting that lets you match your factory dash lights or add a custom look to your interior. Our 7 color through dial LED lighting system lets the user easily cycle through 7 solid color modes, along with 2 color cycle modes, and for easier night driving the LEDs can be dimmed 30% when connected to your factory headlight switch. With the included color memory recall feature you don’t need to worry about adjusting the color of your gauge every time you turn your vehicle. GlowShift stands behind all of its products by including free lifetime technical support and a one year limited warranty with every gauge purchase.